This high quality projector mount bracket is perfect for mounting LCD, LED and DLP projectors with either 3 or 4 mounting holes. 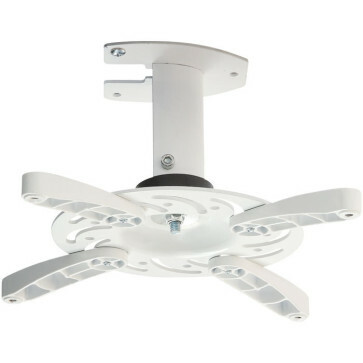 This bracket is universal meaning that it will support any projector on the market. It also has a tilt option wich means you can adjust the angle to suit your viewing. 1. First just measure how far apart the mounting holes are apart on your projector. the specs in the manual usually won't tell you so you will need to check. The important thing to measure is how far apart the furthest two are. generally these will be diagonally apart. 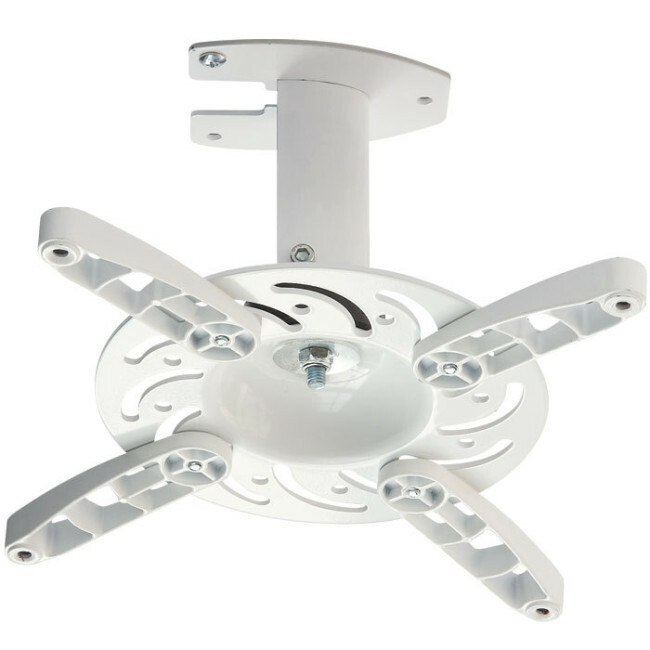 This bracket will fit projectors with mounting holes a maximum of 330mm apart which covers almost all models currently available. 2. 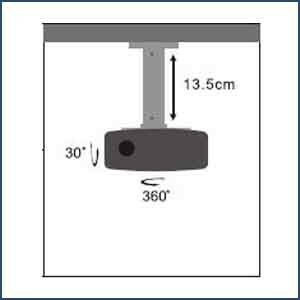 Check the weight of your projector, this bracket accepts up to 15kg which is a lot more sturdy than similar models which only take up to 10kg. It is essential that this bracket is fixed properly to a timber or metal beam/joist when attaching to plasterboard ceilings.